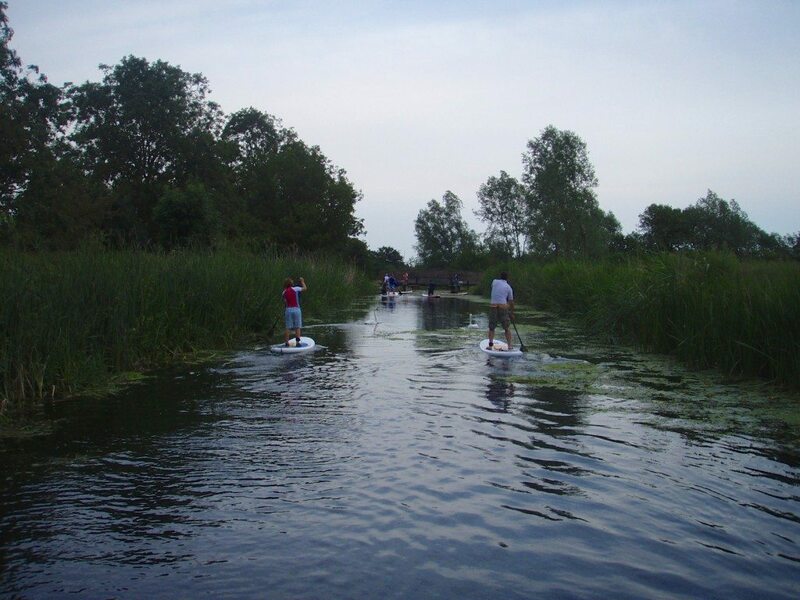 Our turning point was at the confluence with the tidal river as it runs out to Heybridge Basin – definitely somewhere to check out again at high tide. 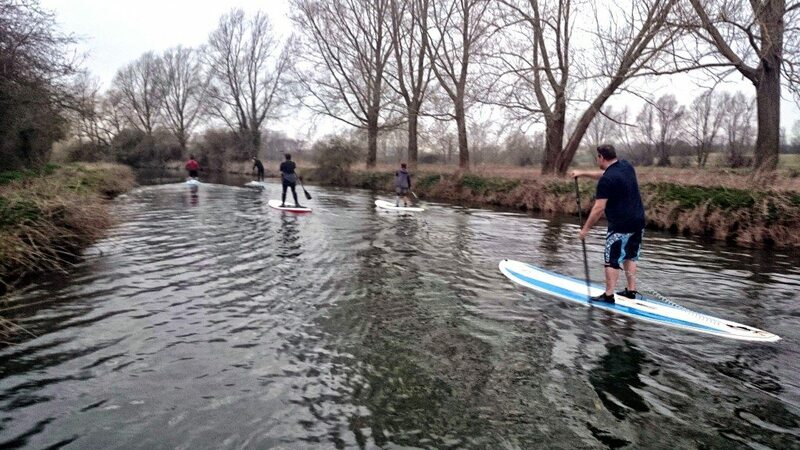 It was great to see a couple of long-time absentees returning to SUP Club: Al was looking super-comfortable on his new Red Paddle 12’6″, while Matt impressed us all by nailing three consecutive jumping dock-starts onto his board. One for us all to work on this summer. After a couple of hours spent on the water, we rounded off the evening just up the road from Hoe Mill at the nearest pub – The Queen Victoria – which turned out to be another fine establishment. As usual, we weren’t quite in time for the 9pm close of service from the kitchen … but one look at the fish-&-chips coming out of there meant we’ll be sure to hurry up a bit next time! 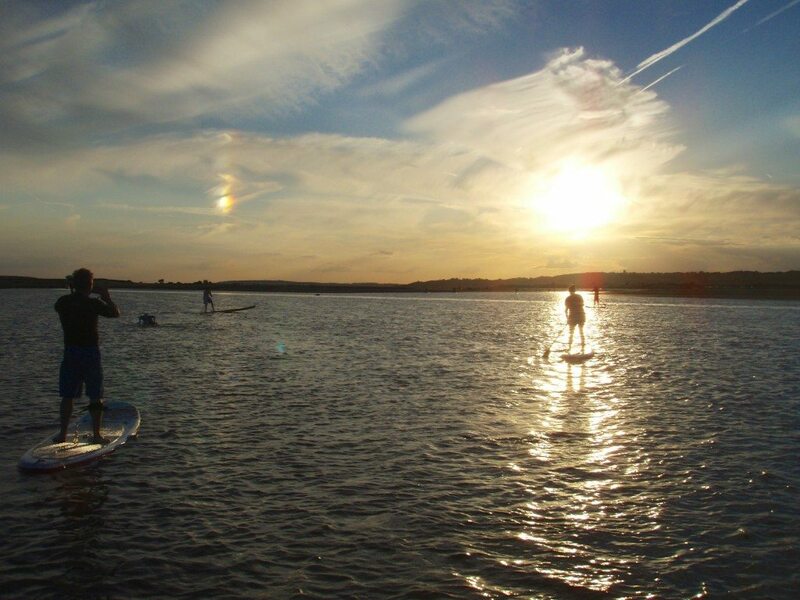 The wind might have blown a fair bit stronger than advertised – and although the sun was out, that easterly took the edge off the temperatures too – but it didn’t stop 24 paddlers from turning out to last night’s SUP Club. Launching from Two Tree Island nearly an hour after low tide, we were always going to have to dig in off the slipway, and that sea breeze made for quite a work-out as we headed down towards the Ray. 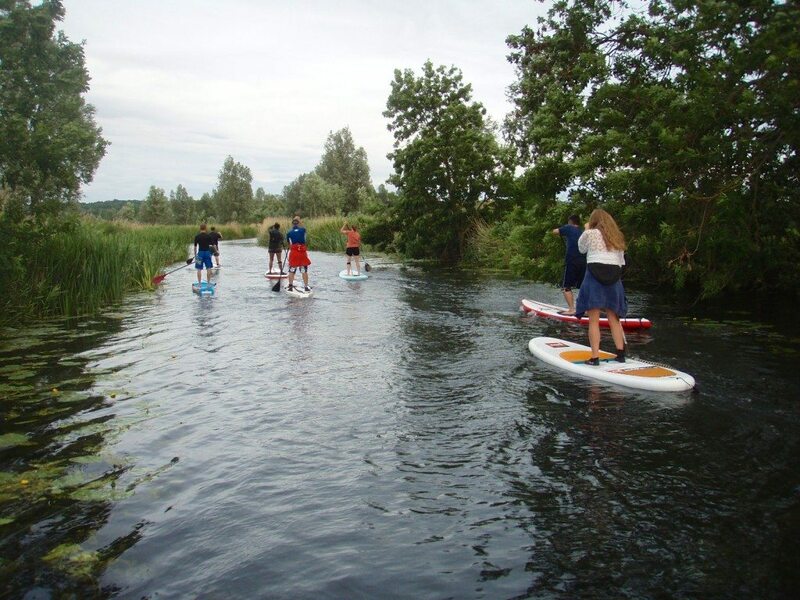 Kudos to Jo who showed great technique and determination to charge into the headwind and tide on just her second time on a paddleboard, having only graduated from our Learn to SUP course on Sunday! Looking even stronger were Julia and Tanzi, fresh back from the 16-mile Bray Lake Ultra on Saturday where Tanzi took the iSUP title – another top result for Team Wet’n’Dry SUP. Of course, approaching mid-tide with a strong tailwind the paddle back was much easier and faster! Soon enough we were packed up and driving in convoy past the cockle-sheds into Old Leigh and the Crooked Billet in for our traditional post-paddle pint. 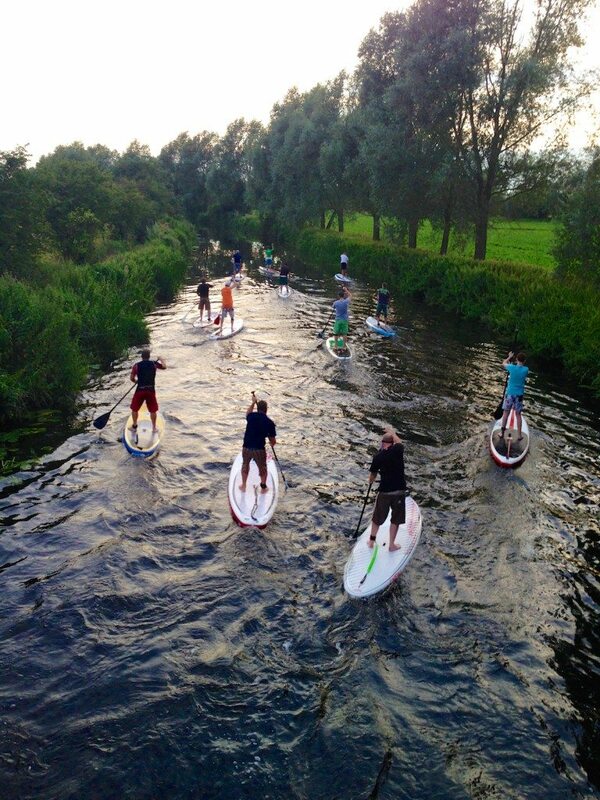 Thanks again to everyone for another great SUP Club.